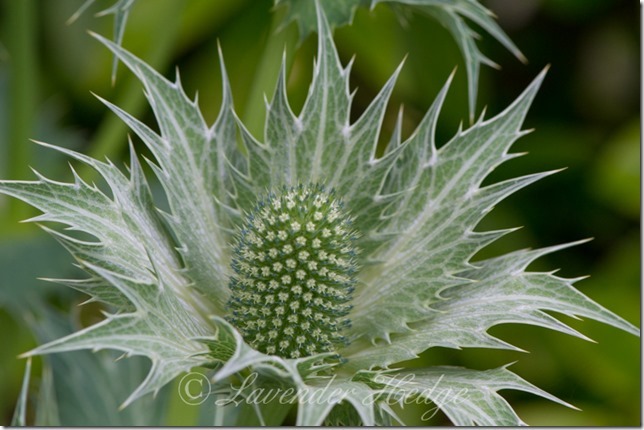 Eryngium giganteum, also known as Giant Sea Holly, is a dramatic addition to the flower border. Its flower heads are surrounded by a rosette of very spiny silvery-grey bracts, which seem to glow in the evening light. 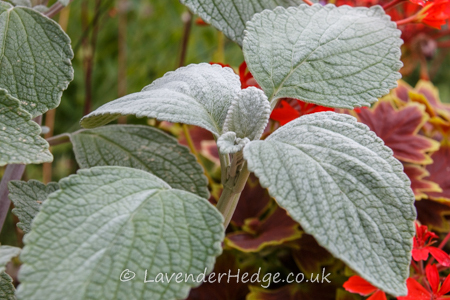 As with most grey foliage plants, it likes a sunny situation. Once in flower, the bees go mad for it! 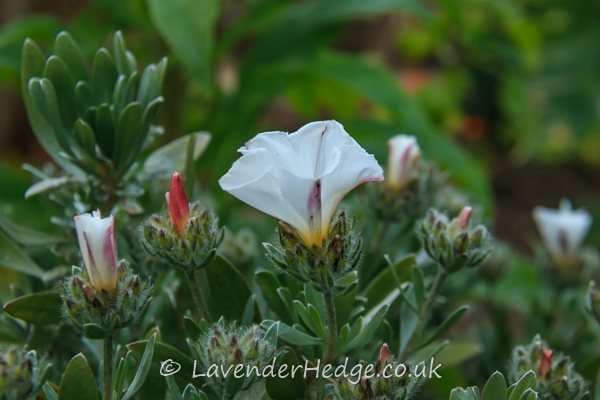 It is a short-lived perennial but a good self-seeder. This variety is named after an Edwardian plantswoman and gardener Miss Ellen Willmott, who allegedly used to sprinkle the seeds of this, her favourite plant, in other people’s gardens! This flower looks good in dried flower arrangements.